Able Locksmiths provides residential/commercial services, such as master key systems, lock picking, surreptitious entry, key control, rekeying, key duplication, fresh installation and the retro fitting of locks. 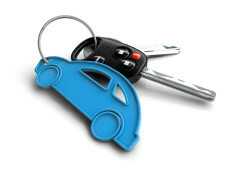 Call on Able Locksmiths for expert vehicle unlocking and fabrication of new keys with or without any existing keys. We are also able to program Transponder keys. Call 301-662-7275 for more information. 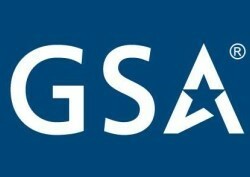 We provide a wide range of GSA lock services, and is staffed with GSA Safe & Vault Technician and certified Inspectors as well as X-10 and XO-9 certified, S&G 2740 and LKM 7000 certified technicians. Able Locksmiths offers a variety of safe sales and servicing, including combination changes, safe drilling, safe repair, and the retrofitting of safe locks by our highly trained technicians. Able Locksmiths is proud to offer quality outdoor products and accessories by Condor® Outdoor Products. Condor® works each and every day to make the warfighter and outdoor sportsman the most efficient they can be in whatever task they take on in theater or at home. Able Locksmiths offers quality knives and knife accessories by your favorite brands. Stop into our downtown Frederick shop today to view our selection. Our friendly staff is always happy to answer any of your questions about our products. 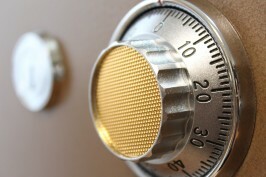 For emergency lockout service you can trust, call the experts at Able Locksmiths. Whether you are locked out of your home, business or vehicle, we are here to help. Call now @ 301-662-7275! Our technicians are available for emergency services 7 days a week. You will always be able to talk to one of our locksmiths when you call our company. David was friendly, very competent, and Able Locksmith went above and beyond. I have gotten keys copied there before, but now I will have them in mind whenever I need anything to be done. As someone who is usually disappointed and hard to impress, I am VERY satisfied. We got ourselves locked out unfortunately but this man came very quickly and even gave us a discount for us using cash. Great service !! 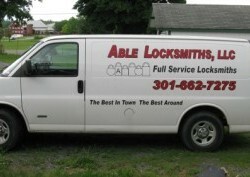 I had a great experience with Able Locksmiths! I needed a lock re-keyed right away so new tenants could move in to my apartment. Although all of their technicians were busy, the owner himself came right over to make sure the work got done. He was prompt, friendly, fast and did great work for a reasonable price. It's refreshing to work with a business that still values good customer service. 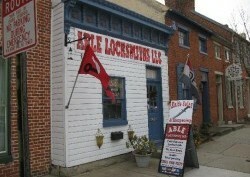 Able Locksmiths takes pride in their workmanship. They are knowledgeable, skilled and competent. I have used them for home and business and have always been pleased with their work. I am impressed with their commitment to give me a top quality job rather than maximize their profit. The whold staff at Able Locksmiths are a pleasure to deal with. 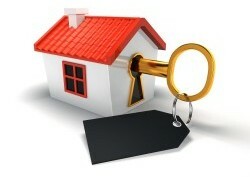 This is the place to call if you need any kind of locksmith work.